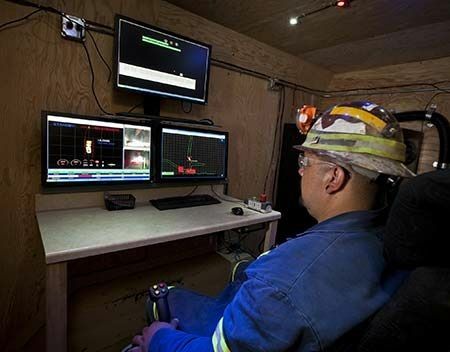 Today’s mines rely on increasingly sophisticated technology to keep workers safe, minimize environmental impacts and maximize profitable resource extraction. In mines throughout North Carolina, you’ll find Cat® equipment helping operators achieve these and other important goals. On their own or as part of a complete fleet, Cat equipment leverages sophisticated technology to drive productivity and performance in all aspects of your operation. In eastern North Carolina, Gregory Poole is your sole authorized dealer of Cat mining equipment. We carry the company’s latest and most advanced machines. With our expert help, you can make smart choices that position you for success both now and well into the future. Cat manufactures a wide range of equipment for both underground and surface mining. From large dozers and excavators to articulated trucks, drag lines, highwall mining shovels and more, there’s a Cat machine for nearly any task. Cat equipment has been built to offer exceptional reliability in the harsh conditions faced in mining operations, while keeping fuel expenditures down due to advanced powertrain engineering. The drive to automate is one of the most pressing challenges facing the mining industry today. Automation reduces staffing costs, increases safety in dangerous working environments and helps eliminate waste through more precise processes. To meet this need, Cat developed the exclusive MineStar Command system for use with its machines and systems. Leveraging this advanced technology can give you complete visibility and control over your operations. Contact a Gregory Poole mining sales representative to learn more today. Gregory Poole’s extensive network of locations throughout eastern North Carolina allows us to offer unparalleled coverage for mining sites within our service area. Our expert technicians can help you solve the problems that are affecting your productivity, whether they involve repairing malfunctioning equipment or helping you refine your processes. Whatever you need, we’ll work with you to ensure the proper resources are available to your organization. To learn more, contact a representative near you today.